The victory of good over dark forces is the main theme of one of the most famous 20th century’s writers, John Tolkien. This theme is in perfect harmony with the exultant mood of the main Christian feast of Easter. 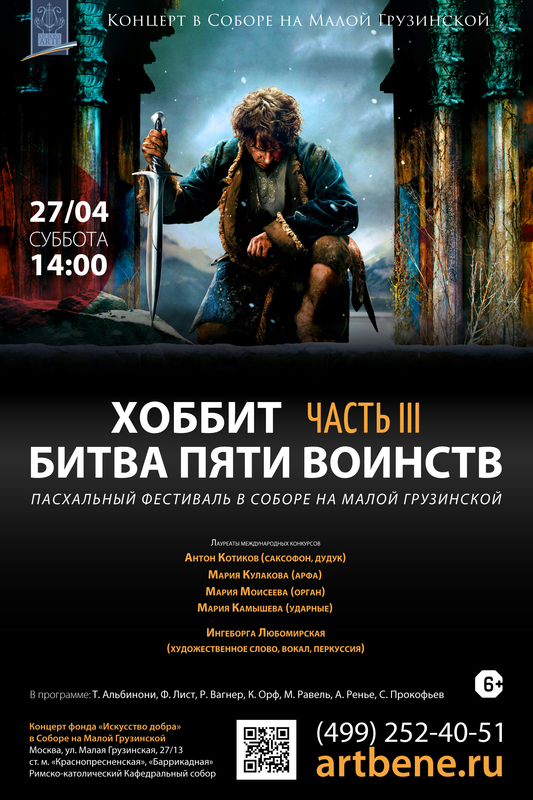 During the performance extracts from The Hobbit will be read by theater and film actress Ingeborga Lyubomirskaya, and the music will remind of the epic scenes from the famous book. 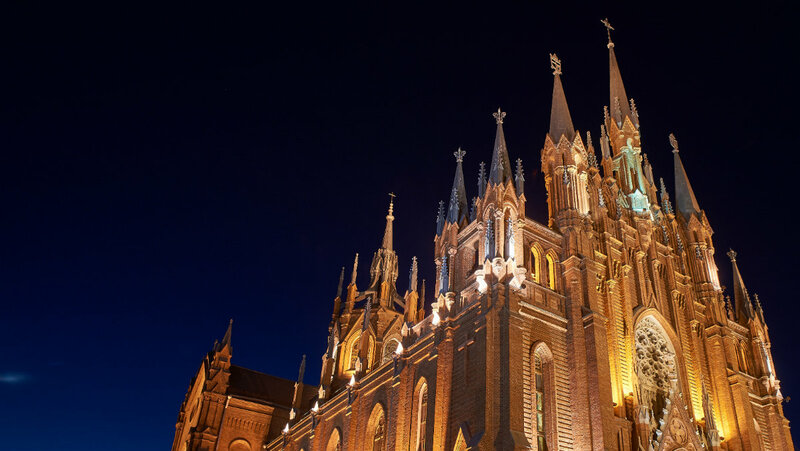 The program includes fragments from C. Orff’s Carmina burana, R. Wagner, F. Liszt, M. Ravel. Enjoy a curious celection of musical instruments: organ, harp, percussion, saxophone and duduk.